The Friends of McHenry County College Foundation has named three student recipients of the Goodwill Industries of Northern Illinois Scholarship. Katy Beam, Matt Becker, both of Crystal Lake, and Michie Ota of Algonquin, each received a $1,000 scholarship offered through the Friends of McHenry County College Foundation, which covers their tuition, books and fees for the spring 2018 semester. 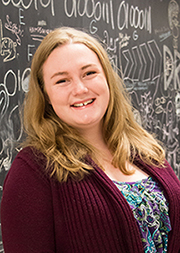 Katy Beam is a first-year student and is a graduate of Crystal Lake Central High School, working toward an associate’s degree from MCC. Beam has a passion for helping others and aspires to become a speech pathologist. After completing her prerequisites at MCC, she plans to pursue her master’s degree in speech-language pathology with a minor in special education and photography. She believes in paying back and has volunteered for various causes, including collecting, sorting and packing food for the Community Harvest, donating books to A to Z Literacy and donating her hair—in ponytails—four times since 2008 to the Pantene Beautiful Lengths program, to support the national American Cancer Society Wig Bank. "The generosity of Goodwill allows me to focus on all of the work I have ahead of me to reach my goals,” Beam said. 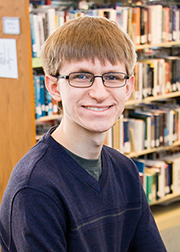 Becker expressed his humble gratitude to Goodwill Industries by saying, “I am truly grateful for this scholarship and still can't believe that you chose me. Thank you so much for your generosity." 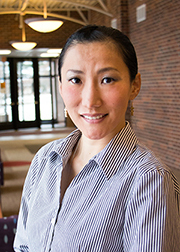 Currently in her second year at MCC, Michie Ota, originally came to the U.S. from Japan and has been living in Illinois for two years. Not knowing how to speak English, she took MCC’s English as a Second Language classes and went on to earn her GED. She said the Goodwill scholarship award allows her to complete her final semester at MCC and to graduate in the spring with an Associate in General Education degree. She plans to complete a second degree—an Associate in Science—in 2019 and then transfer to a four-year university to major in business administration. She hopes to open her own business someday. Ota has volunteered for numerous causes and is pursuing the MCC Silver Cord Award, which requires 100 hours of community service. In addition, she is a member of the Phi Theta Kappa honor society and is a mentor for MCC’s Excel mentorship program. She also participates in other clubs at MCC, including the Asian American Club, Student Peace Action Network, Environmental Action Club and the Meteorology and Astronomy Club. The Goodwill Industries scholarship is intended to assist students with disabilities to advance their education. The scholarship funds were raised by asking customers at the four McHenry County Goodwill stores in Algonquin, Crystal Lake, Huntley and McHenry to “round up” their purchases to the nearest whole dollar to contribute to the fund. The successful Round Up program has enabled persons with disabilities to build a better future for themselves, their families, and the local community, through education.